You have big ideas. You are excited to move forward and make them a reality. But where do you start? There are so many moving pieces, you feel pretty overwhelmed. Plus you are already busy; running a business or just running your life. Your big idea...feels pretty daunting. Join Business Strategist, Megan Flatt, and your fellow big idea generators at The Hivery to get you out of idea overwhelm and into action. Megan will lead you through her signature methodology of taking big ideas and breaking them down into actionable steps. She’ll also preach her mantra of Do Less Better to make sure your idea is exciting and fulfilling to you and your audience, not overwhelming. Megan’s process also ensures your idea is well thought out, and answers many of those lingering questions you might still have. This workshop is ideal for you wherever you are in your journey, as long as you have an idea to pursue! 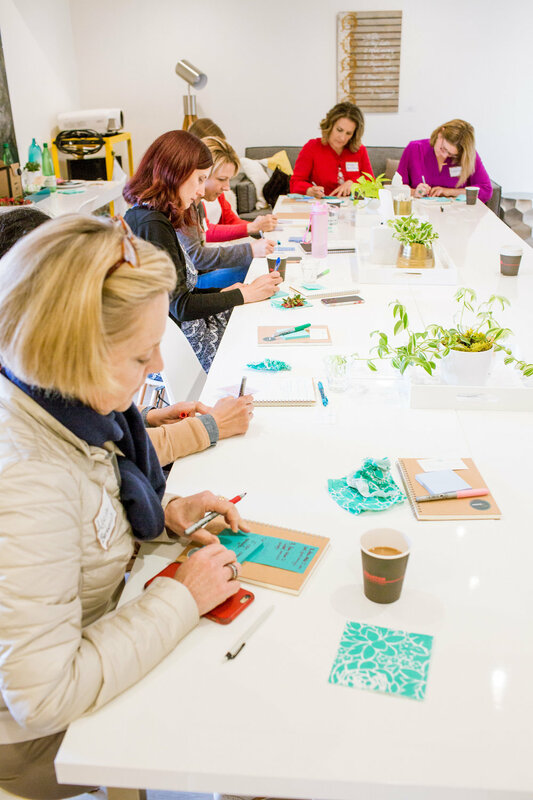 You can be a new business owner, starting a new passion project or a seasoned veteran ready to launch your newest idea, this workshop will help make it happen. Come in with an idea, leave with a realistic plan to see it in the world. $325 for Members and $395 for Non-Members.